Peter Sauber was trained as electrician but he was always fascinated by automobiles. He came from a wealthy family which owned a successful engineering business. In 1967 Sauber encountered a local racing driver called Arthur Blank and eventually bought a souped-up Volkswagen Beetle from his new pal and started competing in local club events, working with the Hegglin tuning firm. Switzerland was unusual in that all motor racing has been banned since 1955 - when Sauber was 12 - and the only events allowed are hillclimbs and sprints which are against the clock rather than cars running in direct competition with one another. Sauber's early adventures convinced him that he wanted to be more involved in competition activities and his fascination for the technical aspects of the business led him to modify the Beetle to create a spectacular racing buggy (which was known as "The Cheese Sandwich" to Sauber's rivals). This however was good enough to win him the local championship in 1969 and led him to decide to start his own business the following year. He acquired a one-liter Brabham-Cosworth racer, stripped it down and used the major mechanical components as the basis for a spaceframe car which he called the Sauber C1, the C designation standing for Christiane, his wife. This was built in the cellar at his parents' home. In 1970 it won the Swiss hillclimb championship with Sauber driving. Sauber then decided to concentrate on building better cars and getting others to drive them. He unveiled the Sauber C2 at the Geneva Auto Salon in 1971 and the C3 which followed was a monocoque design. The Sauber C5 was a Group 6 sportscar, fitted with a 2-liter BMW engine and Sauber employed Herbert Muller to race this car in the Interserie championship. Muller won the title and in 1977 Sauber entered the Le Mans 24 Hours for the first time with a C5 driven by Swiss drivers Eugen Strahl and Peter Bernhard. The car led its class but then retired. A year later Sauber returned to Le Mans with Strahl and Harry Blumer being joined by a new rising star from Switzerland called Marc Surer. Once again the car led its class but eventually dropped back with engine trouble. Money was short and in 1979 Sauber took the decision to stop building prototypes and instead prepared Lola Formula 3 cars for the Swiss national championship. He employed drivers Beat Blatter, Eddy Kobelt and Max Welti and the three finished first, second and fourth in the series. 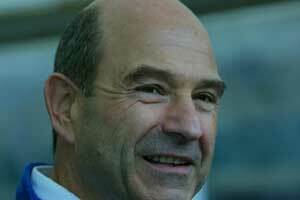 It was nonetheless a significant season in that Welti joined Sauber as team manager. Sauber then turned to preparing BMW M1 sportscars for Marc Surer and in 1981 built the M1 which won the Nurburgring 1000 sportscar race in the hands of Hans Stuck and Nelson Piquet. For 1982, however, Sauber decided that he wanted to go back to being a constructor and he built the Sauber C6 and entered it in the new Group C international sports car category. It was still a low-key effort without huge backing back the team improved and in 1985 Sauber and Welti were able to convince Mercedes-Benz to supply them with engines for a sportscar program. The twin-turbo 5-liter V8 engines were prepared by Heini Mader and produced an impressive 600 horsepower. The following year, with backing having been found from Yves St Laurent's Kouros brand the team became a contender in the World Sportscar Championship, Mike Thackwell and Henri Pescarolo winning the Nurburgring 1000 in a Sauber-Mercedes C8. The following year Jaguar but at the start of 1988 Mercedes-Benz announced that it was going to return to racing in an official capacity for the first time since 1955. A Mercedes-Benz sister company AEG was called in to sponsor the team and the Sauber-Mercedes C9 in the hands of Jean-Louis Schlesser/Mauro Baldi/ Jochen Mass was right on the pace of the Jaguars. The team finished second in the championship with Schlesser runner-up in the Driver's title to Martin Brundle. In 1989 Mercedes gave up hiding behind Sauber and the cars emerged in full Mercedes-Benz racing silver. The result was a near whitewash for the team as Schlesser, Mass, Baldi and Kenny Acheson swept to seven victories in eight races. Schlesser won the title with Team Sauber Mercedes winning the constructors' title. The team also won the Le Mans 24 Hours with Mass, Sweden's Stanley Dickens and German Manuel Reuter. There was another double title in 1990 when the team also ran a car for the Mercedes Junior Team, which included Michael Schumacher and Karl Wendlinger. It was clear by then that Sauber was looking to Formula 1 and in the course of 1991 Sauber hired Harvey Postlethwaite to design an F1 car and Mercedes-Benz funded a big new factory at Hinwil. But at the end of the year the Daimler-Benz board decided not to risk an F1 program and Sauber was left the go it alone, although there was considerable financial support for the team from Stuttgart. The team entered F1 in 1993 and did well enough to convince Mercedes-Benz to come into the sport in 1994 but the opportunity for a partnership with McLaren proved to be too attractive a proposition for the Stuttgart manufacturer and Sauber was left elbowed out of the way. A factory Ford engine supply was available and so Peter Sauber grabbed that lifeline. Time were hard, particularly after Karl Wendlinger crashed at Monaco and suffered very serious head injuries but a rescue package came in the form of a partnership with Austrian drinks company Red Bull and a huge sponsorship arrangement with Malaysia's Petronas. Both deals were organized by Fritz Kaiser, who became a shareholder in the company. The aim was for Sauber to build its own V10 engines in 1999 or 2000 and, in the interim to use Ferrari V10 engines. The Asian economic crisis of 1998 made this goal impossible and a new deal was struck with Ferrari and the relationship continues. Sauber and Kaiser disagreed on strategy and split up leaving Peter Sauber and Dietrich Mateschitz of Red Bull in control of the business. In recent months however Mateschitz has decided to move on and has sold his shares on to Credit Suisse.